We've been busy moving from one of the best cities in the country to one of the not best cities in the country. Now, I'm not saying there aren't a lot of opportunities here in Tampa, and I'm not saying that I won't eventually be happy here, but I find myself in a phase of my life where I feel like a fish out of water. I vaguely remember bemoaning about our move to Seattle when we left San Francisco, which is laughable at this point. So what does a girl do when she moves to the wild, wild west? She works. She spends time with her family and spends way too much time with her husband in an effort to figure out what the next piece of this puzzle will be. If you're visiting this blog for the first time, my husband and I are starting our own hospitality business where we have family to help out with the kids. 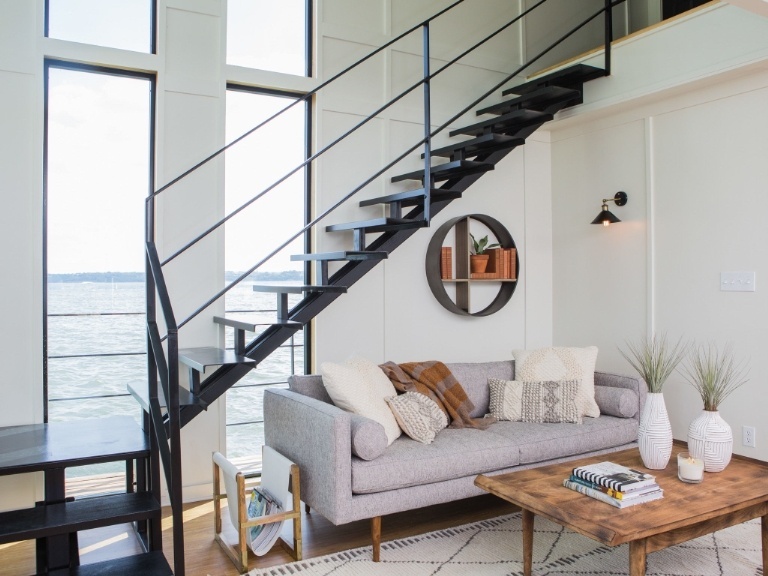 So far, we have been lucky enough to make some connections with some people here in Tampa that have the same vision we have for this city but I would have liked to already found our first hotel project, like yesterday. Starting from obscurity is hard. The struggle is real. Let's look at pretty things. Loving the staircase in this English Estate. I love the color of the runner against the rich wood. This fixer-upper is amazing. I watched this transformation on-demand last week and my mind was blown away. I've decided I like when Joanna does modern. I got lost in Workstead land ... not a bad place to be. Everything they do looks so simple and effortless. 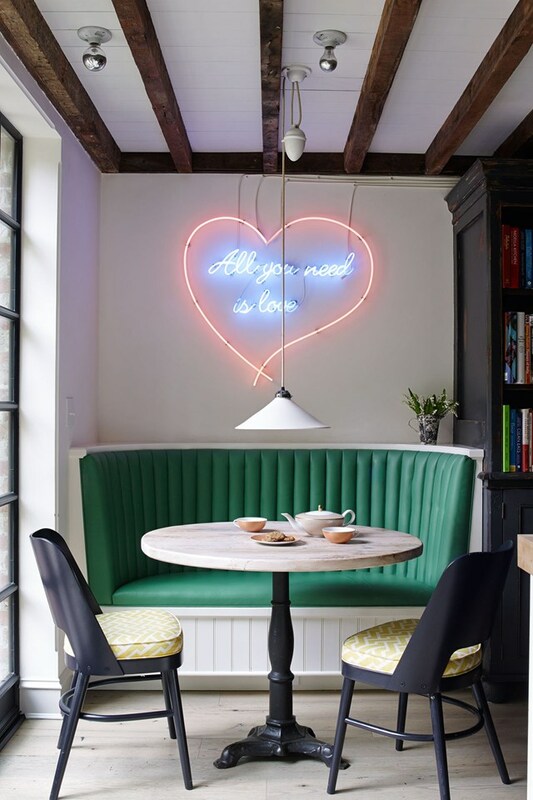 I've always loved neon signage and I feel like it's even lovelier when it's juxtaposed above the french bistro table and green banquet (link here).